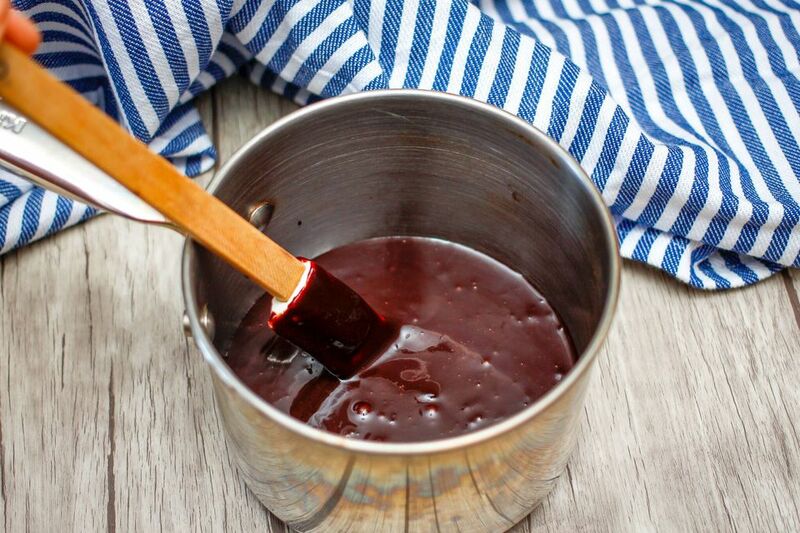 This popular chocolate sauce takes only 5 minutes of cooking time, and it is much better than any store-bought chocolate sauce. Purchased chocolate sauces won't taste the same after you sample this fresh, rich, and very chocolate-dense version. Warm the chocolate sauce up to make a hot fudge sundae or serve it cold or at room temperature. Drizzle the sauce over ice cream or use it to dress up a chocolate chip pie or pound cake. And it's a great topping for chocolate chip pancakes! Warm the sauce in the microwave or on the stovetop, if desired, and enjoy! The sauce may be used hot or cold, on ice cream, cake, fruit, or combined with milk to make a quick cup of hot chocolate (blend milk and amount of sauce to your own taste). Keep this sauce on hand throughout the year, as it is a low-fat treat, and a little bit goes a long way. For a light dessert with a chocolate fix, slice a few bananas, sprinkle them with walnuts, and then drizzle some of this chocolate sauce on top: an elegant and satisfying dessert with lots of texture, flavor, nutrition from the milk and bananas, and very little fat (though it does have sugar). It can be made with low-fat or even skim milk, for a wonderful treat when seriously watching fat intake. Will it be as good as with whole milk? No, but it will be almost as good--a fair compromise for such rich, chocolate flavor.